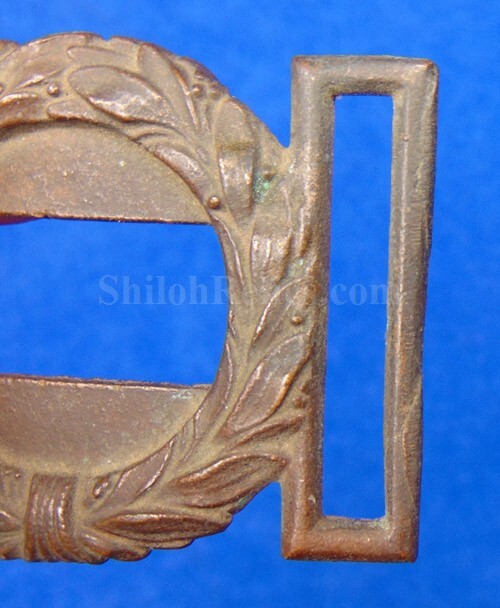 This is a very scarce pattern of belt buckle. 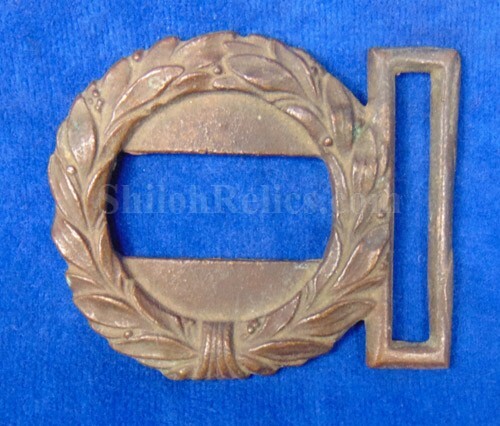 This is the version of 2 piece belt buckle that was worn by the Revenue Cutter Service. This pattern is illustrated as plate 1012 on page 602 of the belt buckle book by O'Donnell and Campbell. They state that these were used circa 1865 until 1890. The wreath is different from the standard patterns that you see but cause of the rope pattern at the bottom of the laurel branches on the wreath. They state in the book that the design that would have been on the tongue of the buckle date the plate from 1863 or later. 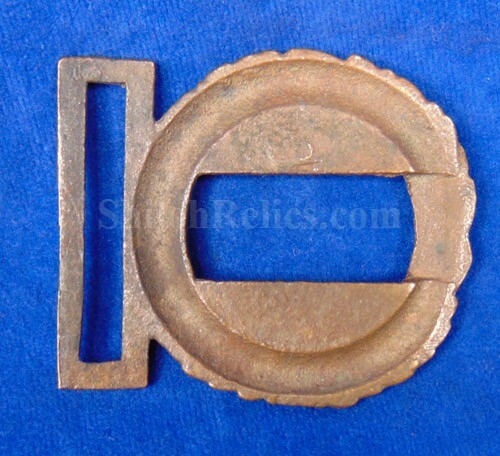 Judging by the construction, this buckle would date after the Civil War in construction in my opinion. The tongue portion is missing in action. I will either sell you the wreath for $125 or by your tongue portion for the same price.